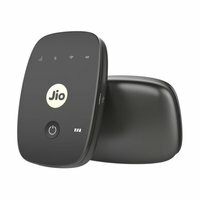 Black Jio M2S Router is a portable Wi-Fi device which is used by inserting Jio sim and connecting with any compatible device. 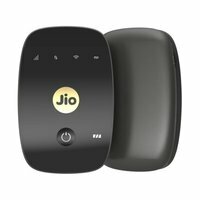 It assures high speed internet connectivity with up to 32 devices simultaneously. This router is also provided with long lasting lithium ion rechargeable battery that can last up to 6 hours with continuous use. It is said to have compact & light weight structure with LED indicators for power button, battery, & WPS. 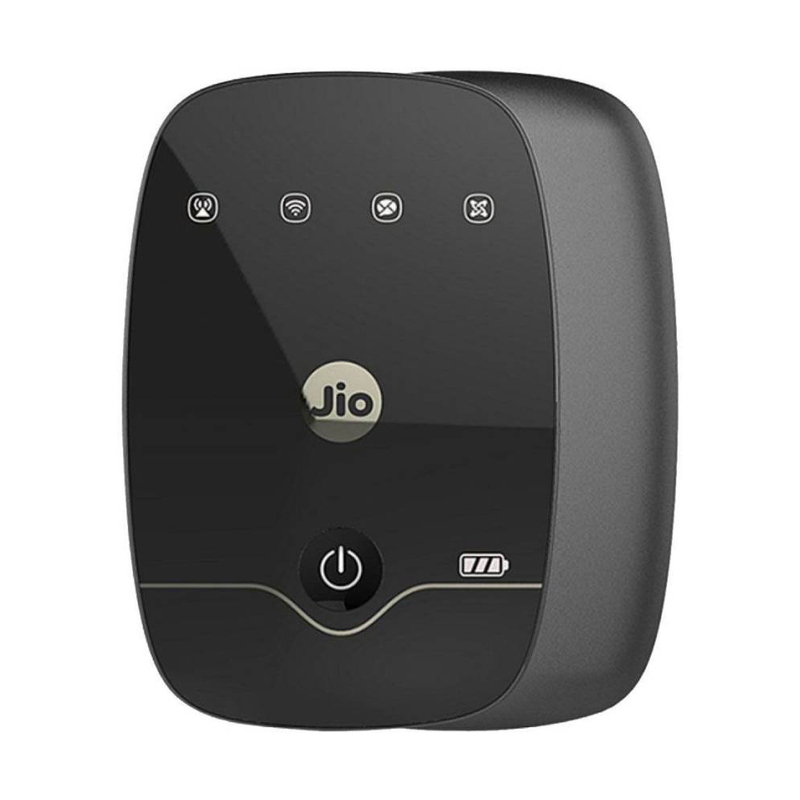 Black Jio M2S Router can easily be carried along in your bag for connecting wireless internet to your laptop.